The real truth is, emotions are brilliant healers, they come up with the exact intensity and gifts you need in order to master the situation you are in right now. Emotions have the purpose of guiding you, strengthening you and supplying you with the energetic patterns you need in order to experience your life to the fullest. Press play on the episode, practice bringing your emotions into a state of balance and you'll be in awe of your feelings! 3. How you can have full access to your emotional gifts! 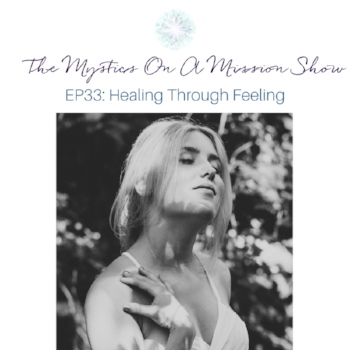 *Note: On the show, I talk about episode 1 and 2 and I am referring to the first two episodes of this healing series! Episode 1 corresponds to episode 32 on the podcast and episode 2 would be episode 33.